Zand Candida QuickCleanse is a comprehensive, natural formula that is intended to provide nutritive support for a healthy intestinal environment. 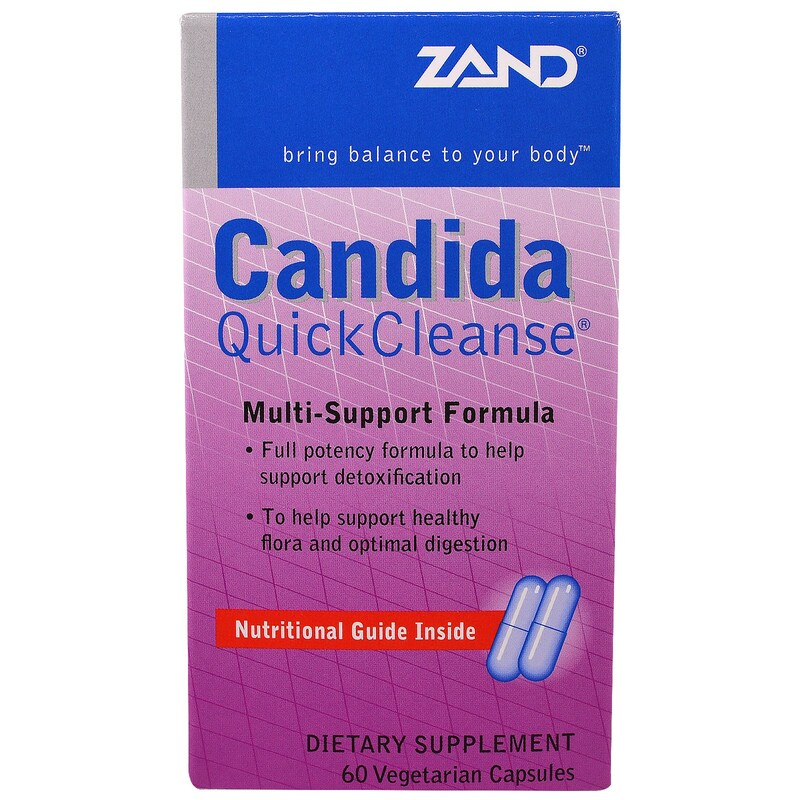 ZAND Candida QuickCleanse is a complete cleanse formula intended to provide nutritive support for healthy intestinal flora and detoxification. Candida QuickCleanse addresses the needs of the internal and digestive environments with ingredients that help enhance the growth of beneficial flora. Healthy intestinal flora is essential to keep candida and other yeast in "balance". Candida QuickCleanse helps to maintain balance with a formula that contains concentrated extracts of Turmeric, Oregano, Garlic and Caprylic Acid. The formula is complete with ZAND's healthy intestinal blend of Oat fiber, Cabbage and Fructo-oligosaccharides (FOS) to help support the mucus lining of the intestines and a blend of Coptis, Thyme, Ginger, Gentian and Parsley to help support digestion. Use only as directed. Adults, take 2 capsules daily in the evening. Vegetable cellulose capsule, maltodextrin, magnesium stearate, cellulose, acacia and silica. Zand guarantees that no ingredients other than those listed on this label have been added to this product. Do not use if safety seal is broken or missing. Keep out of reach of children. Keep your licensed health care practitioner informed when using this product. Do not use if you are pregnant, have bile duct obstruction, gallstones, stomach ulcers or hyperacidity.